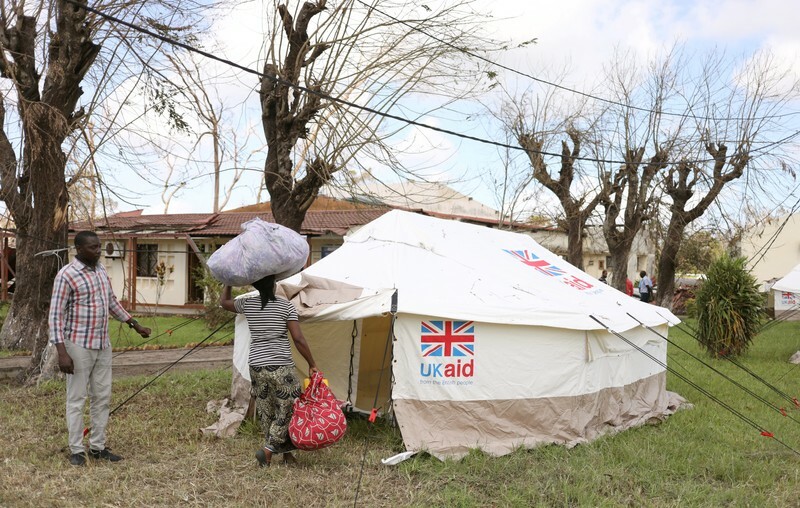 BEIRA, Mozambique (Reuters) – Rescuers said they would reach hundreds of people on Monday still stranded more than a week after a powerful cyclone struck Mozambique and swathes of southeast Africa, as roads started to reopen. Cyclone Idai lashed Mozambique’s port city of Beira with winds of up to 170 kph (105 mph) around midnight on March 14, then moved inland to Zimbabwe and Malawi, flattening buildings and killing at least 657 people across the three countries. “We are more organized now, after the chaos that we’ve had, so we’re delivering food and shelter to more people today,” Mozambique’s Land and Environment Minister Celso Correia told reporters. Communities near Nhamatanda, around 100 km northwest of Beira and where some people haven’t received aid for days, would receive assistance on Monday, he added. Aid workers distributed maize meal in the Chipinge district of eastern Zimbabwe – one of the areas where the cyclone wrought major destruction – while residents struggled without access to power or piped water. “It’s a killer,” Rhodes Stampa said of cholera, naming the infection as one of his biggest concerns, alongside more flooding. But the weather for the next two weeks looked “pretty good” and dam releases were well-controlled, he added.